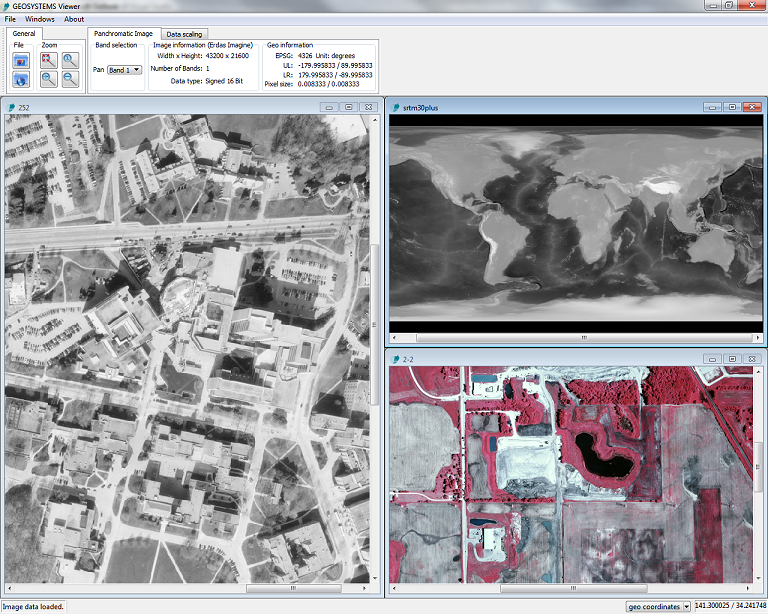 Converts raster data to ECW and JPEG 2000 as fast as up to 1 GB per minute. Writes ECW (8-bit) and JPEG 2000 (8-/16-bit). 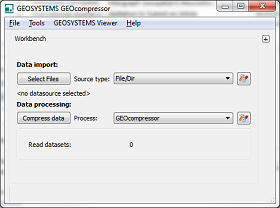 Supports the latest ECW format including geo-information (complete projection). Alpha channel transparency is supported for both ECW and JPEG 2000. 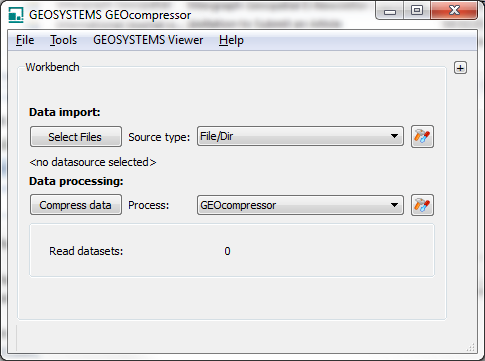 Supports any kind of raster format as input (TIFF, NITF, JPG, PNG, IMG, GIF, BMP, ECW, JPEG 2000 and many more). file size limit of 264, far exceeding the 16 TB file size allowed by NTFS (ECW and JPEG 2000). as well as via CSV file. one directory) with only one command. GUI can be localized. Current version supports English, French, German and Dutch. Stand alone tool based on the ERDAS ECW/JP2 SDK 4.2. Simple yet sophisticated graphical user interface with optional extended settings including batch mode. Interface can optionally be set to English, German, French or Dutch. Installation is in English or German. 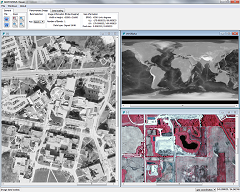 Features a fast image viewer for raster images and data streams (ECWP) including zooming/roaming/panning, data scaling, band selection and display of image and projection information. Node-locked local license with hassle free licensing mechanism. Runs on all Windows operating systems (including 64-bit). The current version 1.1 does not support the mosaicking of single images within the compression step. On request we provide a version with mosaicking funktion.